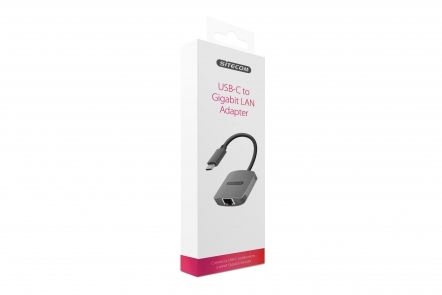 With the CN-376 | USB-C to Gigabit LAN Adapter from Sitecom, you can connect a network cable to the USB-C port of your MacBook, Windows notebook or mobile device and take advantage of a wired Internet connection with Gigabit speed. You love your Wi-Fi, but a cabled Internet connection is often faster and more reliable than its wireless counterpart. 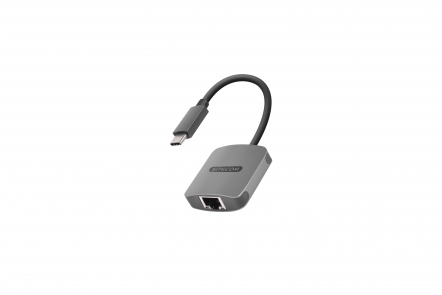 Use the USB-C to Gigabit LAN Adapter to connect your USB-C notebook or mobile device to Gigabit Internet and surf with wired speeds of 1000 Mbps, ideal for streaming HD movies or online gaming. Many hotel rooms suffer from poor Wi-Fi but almost always offer a cabled Internet connection. Whether you’re on a business trip and need a reliable Internet connection or are on vacation and want to Facetime with your loved ones at home, the USB-C to Gigabit LAN Adapter lets you connect to a wired Internet connection easily. The USB-C to Gigabit LAN Adapter is fully Plug & Play out of the box. Simply plug the adapter into the USB-C port of your device, no drivers needed. The adapter is compatible with all operating systems.